24th May 2011Jason Mckeown on More on the Valley Parade office block purchase: a deal seemingly based on logic, a blueprint for the future? 15th May 2011Michael Wood on Where are the Bantams? When Bradford City meet AFC Wimbledon at Valley Parade in a League Two match on Saturday 24 September it will mark the 125th anniversary of the first use of the Bantams’ home ground as a sports stadium. A birthday party will be held in the club’s bantamspast museum at 1.30pm – Admission free. Bradford City’s midfielder David Syers will cut a specially designed birthday cake at 1.45pm to formally celebrate the famous ground’s anniversary. Images and film of Valley Parade will be shown on the museum’s big screen. David Pendleton, the co-curator of the bantamspast museum, will speak about his forthcoming book Paraders, the 125 year history of Valley Parade, which will be published in November. Valley Parade opened in September 1886. The ground was developed by Bradford City’s predecessors Manningham Rugby Club when they were forced to vacate their former ground at Carlisle Road to allow for the construction of Drummond Road School. Manningham were the Rugby League’s first ever champions in 1896. However, a downturn in fortunes saw the club switch to football and become Bradford City in 1903. Eight years later they had established themselves as one of the top five clubs in the country and Valley Parade was extensively rebuilt. In 1911 their FA Cup winning team were photographed in front of the elegant Midland Road stand. The ground that was rebuilt for Bradford City’s promotion to the First Division in 1908 remained largely unaltered until the tragic fire of 1985. In the wake of the Second World War the Bantams were firmly rooted in the lower divisions. Limited funds for ground maintenance, weak regulation and the steep topography of Valley Parade combined to turn a discarded cigarette into one of the worst tragedies in the history of British football. Few need reminding of the events of 11 May 1985 when 56 supporters were killed and hundreds more injured. It seemed that Valley Parade had hosted its last football match. The Bantams were in exile at Odsal Stadium, which had been rebuilt in order to stage the 1985 World Speedway Final, but a vigorous campaign by City supporters, and a fortunate injection of cash from the disbanded West Yorkshire County Council, saw the club return to a rebuilt stadium in December 1986. Bradford City defeated the England national side in an emotional reopening game. In recent years the ground has been reconstructed on two occasions, the most recent came when Valley Parade hosted Premier League football between 1999-2001. Valley Parade, situated on its steep hillside and with its connections to triumph and tragedy, the ground is a central part of the club’s identity. Bradford City without Valley Parade is almost as unthinkable as abandoning the club’s famous claret and amber stripes. On 24th September when Bradford City play AFC Wimbledon Valley Parade will be exactly 125 years old. Supporters will celebrate the landmark with a birthday party in the cafe and museum. There will be a birthday cake, birthday cards and balloons (claret and amber of course). During the summer there were fears that Bradford City would leave their historic ground due to on going issues regarding the rental payments made to the ground owner, former chairman Gordon Gibb. Thankfully, Bradford City’s joint chairmen, Julian Rhodes and Mark Lawn, purchased the office block alongside the ground which reduced the club’s overheads and allowed Bradford City to remain at Valley Parade. Valley Parade was built by Bradford City’s predecessors Manningham Rugby Club over the summer of 1886. Manningham’s former ground at Carlisle Road had been compulsory purchased to allow for the construction of Drummond Road School. The rugby club faced the significant challenge of finding a suitable parcel of land and then constructing a ground all in the space of a single summer. Their options were further limited by having to remain in Manningham – where the majority of their support resided – and find a piece of land large enough for a ground in a city that was an economic boom town. When we understand those factors we can begin to realise why Manningham Rugby Club built Valley Parade on a steeply sloping site. Hemmed in by terraced housing, overlooking railway lines and a heavily industrialised landscape, Valley Parade was quite different from the quintessentially English Park Avenue grounds of their main rivals Bradford Rugby Club (later Bradford Park Avenue AFC). Park Avenue was the civic enclosure, beautifully adorned with a gabled stand and the ‘dolls house’ changing rooms, not to mention the adjacent cricket ground, it was a world away from the smokey, workaday Valley Parade. However, success came to Valley Parade when Manningham became the first ever champions of the Rugby League in 1896. Even greater prizes awaited when Manningham switched from the then declining Rugby League game and became Bradford City AFC in 1903. With eight years City won the FA Cup in 1911 and established themselves as one of the top five clubs in the country. Sadly, the glory faded after the Great War and by 1922 City had been relegated from the top division. Valley Parade, which had been completely rebuilt in 1908 following promotion to the first division, began a long decay and by the 1980s its Edwardian splendour was falling apart at the seams. No one needs reminding of the terrible events of 11 May 1985 when 56 fans died and hundreds were injured in the fire that ripped through the ageing main stand in a matter of minutes. That is where the story of Valley Parade could have ended – one year short of the ground’s centenary. Bradford City were playing at a number of home grounds while the future of Valley Parade was debated. Bradford Council made no secret of its desire to see the club playing at a rebuilt Odsal Stadium, but the City fans themselves mounted a passionate campaign to return to the club’s spiritual home. A rebuilt Valley Parade as a tribute to those who lost their lives became an irresistible cause. In 1986 Jack Tordoff oversaw the rebuilding of Valley Parade and in December of that year City defeated the England national team 2-1 in an emotional home coming. Since that day Valley Parade has been once again extensively reconstructed into a 25,000 capacity all seater ground. The club has risen to the very heights of the English game and has crashed down to the bottom division in a dramatic decade. Despite that the supporters still flock up Manningham Lane in large numbers, just as they have for 125 years. For thousands Valley Parade is their second home, as important to the club’s identity as its unique claret and amber stripes. Valley Parade’s birthday party will be held in the cafe and museum above the club shop on 24 September prior to City’s home match against AFC Wimbledon. Festivities commence at 1pm and as usual with all bantamspast museum events admission is free. A history of the ground, entitled Paraders, the 125 year history of Valley Parade, written by David Pendleton will be on sale in November. The format will be similar to the much acclaimed book Glorious 1911 which was published last year and told the story of our FA Cup victory in 1911 and City’s Golden Era at the top of Division One before the Great War. Subscribers to the new book Paraders can have their name entered at the back of the book and purchase for a discounted price of £12.50. 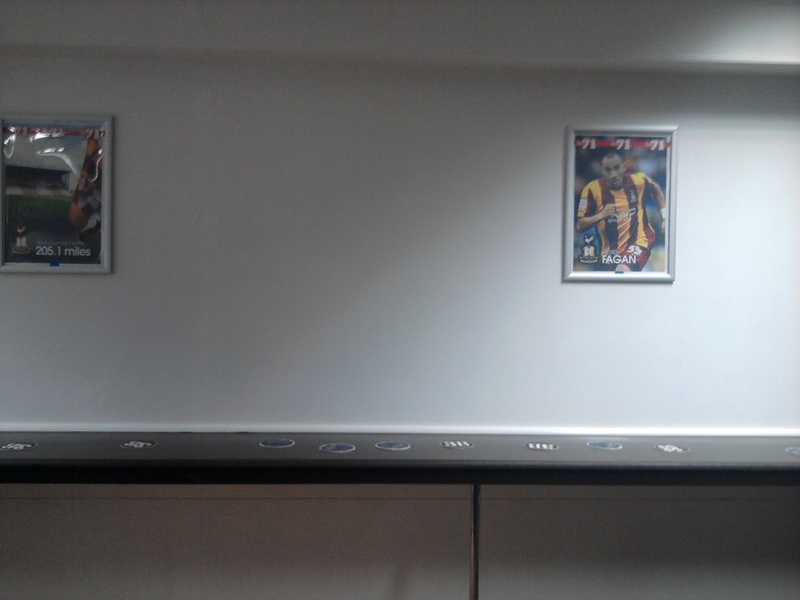 Order forms are available from the club shop, ticket office or the bantamspast museum at Valley Parade. Last November we organised a film night at Pictureville featuring film of the first ever Football League game at VP in 1903 and footage from the FA Cup Final. We are planning a repeat film night this November to include more recent footage. For further information check out www.bantamspast.co.uk and/or email glorious1911@paraders.co.uk to join our mailing list. Profits from these projects will be donated to Friends of BCFC. Last season we raised £5,000 for the Burns Unit from the sale of Paraders enamel badges (www.paraders.co.uk). More about Carlisle Road, Manningham Rugby Club, Odsal Stadium, Valley Parade. There is a petition which – should it gain enough signatures – will be forwarded to Bradford City, the suppliers of catering at Valley Parade and to local media outlets making it known that fans would support a reduction in pricing for food and drink at Valley Parade. We think this is something that can be changed for the good of many families, pensioners, and low income supporters that attend the games. As far as I am aware (The club) do not take a cut, however, (we hope) they can have an influence over stopping unfair pricing. 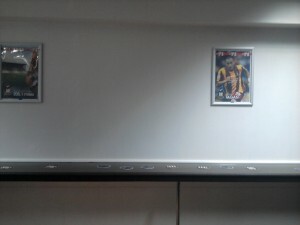 There are two huge considerations for joint Chairmen Mark Lawn and Julian Rhodes when deciding on Steve Parkin’s offer to buy Bradford City – one of which people expect them to act in a certain way upon simply because they are City fans, the other of which demands greater attention in their capacity as supporters. With Parkin having laid out his terms in a plain but somewhat biased way via the Yorkshire Post, Rhodes and Lawn have been backed into a corner with some directing their anger at the pair for rejecting an initial bid. The first of those considerations – whether to accept the offer on the table – is one easy for others to make, but few people in their shoes would be willing to write off so much money no matter how much claret and amber blood runs through their veins. The offer to Lawn of repaying him his latest £1 million loan – overlooking the fact he has invested some £3 million in total since joining the Board in 2007 – plus pay the pair around £375,000 each would appear derisory. Quite how much Rhodes and his family have ploughed in over the years must be considerably more, and Julian disclosed to the club that the Board has collectively invested £5.5 million into the club. Parkin has offered the Board the potential to receive further returns dependent on the club’s performance, the precise details of which have not been disclosed. But even taking this into consideration, Lawn, Rhodes and other Board members are being asked to sell the club for a fraction of the amount of money they have pumped into it. That doesn’t seem fair in anyone’s book, and one can understand Rhodes’ response in the Telegraph & Argus that they believe the club has been undervalued. The popularity of Lawn and Rhodes waned badly in the wake of the Valley Parade rental negotiations, but whatever your view on the way they have operated the club it seems unfair to criticise them for rejecting an offer given how much money they would surely lose. Yes they are City fans, but they have family and their long-term future to consider. They have both put money into City when others have not – and in Rhodes’ case, saving the club from going out of existence. They have both already showed they are true City fans for these past actions, and so it seems unfair to criticise them for not simply stepping aside minus the wealth they have kindly shared with us. If we were in their shoes, would we really be prepared to act any differently? Beyond that though, the pair have a huge responsibility towards the second important consideration – the suitability of Parkin owning our football club. The club have stressed that they are yet to receive full details of Parkin’s plan, and if and when they do get to view it they can evaluate whether it really is in the club’s best interests to potentially join forces with Bradford Bulls. On the face of it there are plenty of potential pitfalls. A few years, Huddersfield Town supporters complained loudly about the club being owned by the same people as Huddersfield Giants, with accusations the Rugby League outfit got favourable treatment and greater investment. Similar frustrations have been heard from Wycombe and their sharing with London Wasps. The principle that both City and the Bulls would get equal treatment might sound fair, but is it viable in practice? Let’s say City are doing well but the Bulls are struggling, would money be directed towards the Rugby club to ensure they can improve – potentially slowing City’s progress? And what would the overall objective of the Bradford Sporting Club be? Right now, the two outfits are more competitors than colleagues. A hole in Parkin’s proposals today came from Bulls chairman Peter Hood, who declared that they have had no contact from Parkin, despite the millionaire stating to the Yorkshire Post they are in favour of the Sporting Club proposal. Indeed the whole Yorkshire Post article was so focused on City and not the Bulls that one has to wonder just how serious Parkin’s Sporting Club intentions are. But also what happens if City accept Parkin’s offer but the Bulls reject, would the deal to buy City be put in jeopardy? Then there’s the stadium situation. Parkin has talked of building a new stadium for both clubs – though whether this is at a new venue or rebuilding Valley Parade or Odsal is unclear. Parkin or Rhodes and Lawn in charge, the Gordon Gibb lease situation would be the same and City are tied to their home by a contract which to break could involve administration. Do we want to move anyway? Parkin talks of the Bantams easily being able to become a Championship club again, and if that was to happen we would already have a perfectly suitable stadium to play in. What on earth is the point in building a completely new football stadium, aside from the lease problem? Surely it would cost a lot more money to buy land and build a new ground, than to purchase Valley Parade from Gibb? Those are the main talking points so far, but the motives for Parkin purchasing City are also very unclear. With no previous connections to the club, Parkin will be looking to make money from his investment and that is understandable. But that isn’t necessarily the same motives and interests of us supporters. Would we see steep season ticket price rises, for example? No one looking to make money from football would see the current strategy as the best way forward to achieve this objective. It is the responsibility of Lawn and Rhodes to fully evaluate the proposals Parkin puts forward, not simply for the terms of the sale – but the suitability of him as the owner of Bradford City. A comparison can be drawn with Liverpool and the farce over George Gillet and Tom Hicks owning the club, with how previous owner David Moores – a true Liverpool fan – sold up without undertaking the necessary due diligence over the suitability of the Americans. He was heavily criticised in hindsight, later responding via a letter to the Times about his actions. If Parkin took over the club and it didn’t go well, for whatever reason, Rhodes and Lawn would share the responsibility too. They are the custodians of this 108-year-old club, and it’s their duty to pass it onto the right people in time. 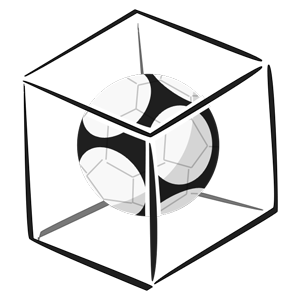 It would be foolish to sell it onto the first person flashing a wad of cash, just because they make big promises about spending money on new players. If Parkin is the best man to take the club forward, the pair have a duty to act accordingly – but first of all they need to take proper time to establish whether this is the case. Two huge considerations – tough decisions that few of us would ultimately want to swap places with them for, no matter how easy it is for us to demand what Lawn and Rhodes should do next. More about Bradford Bulls Huddersfield Town, Gordon Gibb, Julian Rhodes, Mark Lawn, Steve Parkin, Valley Parade. More on the Valley Parade office block purchase: a deal seemingly based on logic, a blueprint for the future? Left with such little public information about how the Valley Parade rental negotiations were progressing over recent weeks, rumour and debate has been allowed to fill the void. It therefore became easy, as a general silence emanated from the Boardroom save for the occasional thunderous comment from Mark Lawn, to look upon the situation as boiling down to personalities: Julian Rhodes v Gordon Gibb – who is right? Yet rather than it being a case of who wins the moral argument, the major breakthrough in this saga could ultimately not be have been more ordinary. A simple, run-of-the-mill property deal, between the football club and the one of the two landlords who, for the most part, have been largely ignored over the previous weeks. How big a role the personal grudges that surround Gibb have ever played in, or will factor into, the ongoing talks between City and his family Pension Fund is highly questionable. But Prupim – owners of the offices which have now been acquired by City – have neither been painted as good nor bad throughout. They were the dispassionate business people, receptive to cries for help but with their own, very different priorities. That, in contrast, the negotiations between City and Gibb have occasionally been painted as playground fights may be wholly unfair. Ultimately the same calculated approach from Prupim that has led to this important deal for City will no doubt be echoed by the decisions the Gibb family Pension Fund make. This time, it may not actually be personal. The outcome of those Gibb negotiations – clearly still vital for the club’s future – are for another day, but the fact the Prupim deal allows City to remain at Valley Parade will probably be looked back upon as the most significant step of the whole process. The threat of moving away beyond next season is still there for now, but the office block deal has strengthened the club’s ties with its century-old home. Not since the possibility of moving to a revamped Odsal was first aired in February 2009 has City’s long-term future at Valley Parade appeared so secure. As the inks dries on the Prupim deal, it should not be quickly forgotten that – yet again – the Bantams have had to rely on their owners digging deep to preserve the club’s future. Ever since the first spell in administration back in 2002, City’s income levels have not been self-sufficient enough to run itself. From tredding water under the Rhodes family into and out of League One, to Lawn’s £3 million loaned to the club since taking joint control in 2007, Bradford City has not been able to stand upon its own two feet and, going forward, this has got to change. We are yet again grateful to the Rhodeses, Lawn and – on this occasion – David Baldwin for putting their hands in their pockets to prop up the club. Criticism towards the Board has been fierce in recent weeks, and despite this deal is unlikely to fully subside; but the bottom line is that, without them, we would not have a club to support, and this latest move shows that continues to be the case. There is credible talk of interested investors taking over this summer, if some of the overheads can be reduced, but such speculation has been rife before. The Board can’t plan for what ifs and maybes. What’s unclear about the latest deal is the terms of repayment to the Rhodes family, Lawn and Baldwin. But undoubtedly they have put their neck on the line and deserve to be compensated in time. It would have been easier for them to break the lease and push City towards administration – even walking away and lining up as creditors – because as a football club that might have been the only realistic option looking solely at its balance sheets. Whatever mud people continue to sling at them, Rhodes and Lawn are clearly Bradford City supporters who share our best interests. Success on the field may be lacking under their control so far, but our ongoing existence – and ongoing existence at Valley Parade – are not achievements to be sniffed at. That said, the news that ownership of the club has been transferred to the newly-formed BC Bantams Limited throws up some question marks that it would be good to see addressed by the Board. It’s not that we should be necessarily suspicious – after all, tying up the office blocks and club ownership into one company means we’re unlikely to see a repeat of the Gibb Valley Parade deal which has caused so many problems – but understanding the thinking behind the new company would be welcomed. Where this all leaves the remaining negotiations with Gibb’s Pension Fund is unclear. On the surface you could argue this places Gibb in a stronger position, given the club had seemingly presented him with a ‘reduce rent or we’ll clear off’ ultimatum and now gone back on it. The fact that the club are now more able to pay the rent offers the Pension Fund trustees less incentive to reduce their investment return. But on City’s side, at least there is more time to strike a mutually favourable agreement in the long-term. In the meantime next season promises to be interesting. City spent a lot of money bidding for promotion this season just gone, and they failed miserably. Much of the budget was supplied by Lawn loaning money to the club, and he has gone on record to say this investment won’t be repeated. So the question is whether City will spend the surplus savings from the Prupim deal on a sizeable playing budget in a push for promotion, and how this might be perceived by the Pension Fund. Say, for example, City sign Clayton Donaldson – which would involve beating off plenty of interest from other clubs – it would hardly look a cheap signing. Parading him around Valley Parade and then complaining they’re struggling to pay the rent on the roof over our heads would appear a contradiction unlikely to be viewed sympathetically. Unless the knight in shining armour that is an investor really has appeared over the horizon, City badly need to be operated within its means next season. A competitive playing budget is still essential, and the inevitable cuts compared to last season will be of concern given City only just avoided relegation. But we can no longer operate in a promotion or bust manner, and Lawn’s revelation today that, without this deal, players’ wages would have not been paid this month illustrates how troubling the overall picture remains. Everything, it seems, needs to start again from the basics. The team’s underperformance last season has prompted as big a clear out as contracts will allow, and so next season’s principle aim must be to improve on the last rather than be judged solely on whether we fall short of the play offs. The manager – Peter Jackson or otherwise – needs time to build the squad without fear of the sack following successive defeats. Off the field the club must start making a profit each year, rather than having losses covered by the joint chairmen’s pockets or the occasional youth player sale and add on. From the outside, the Prupim deal was one conducted without the usual heavy emotion that Bradford City matters usually trigger. It was done in a calm manner based on sound logic, with an eye not just on the moment but of the future. Let’s try and make it the kind of sensible thinking that everything connected with the club is built upon. More about Dave Baldwin, Gordon Gibb, Julian Rhodes, Mark Lawn, Prupim, Valley Parade. Bradford City’s Board has this morning announced the club is to stay at Valley Parade rather than leave their 108-year-old home, after it agreed a deal to buy the office blocks from landlord Prupim. 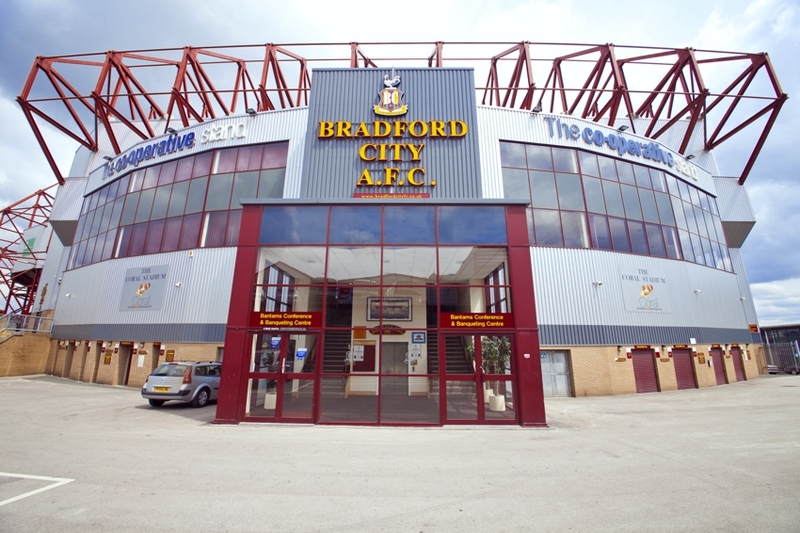 The deal, which involves David and Julian Rhodes, Mark Lawn and Dave Baldwin setting up their own parent company called BC Bantams Limited to transfer both the ownership of the office blocks and – curiously – the ownership of the club, will see the Valley Parade overheads reduced enough for City to be able to afford the remaining rent for now. Talks with Gordon Gibb’s pension fund are also said to be ongoing, but the rent that City will now receive from owning the office blocks will be enough to pay the stadium rent. With this important news confirmed, the club can finally make proper plans for next season. The season tickets are expected to go on sale again shortly, and BBC Radio Leeds has revealed the next manager will probably be appointed within 24 hours. However it may not be interim manager Peter Jackson, as expected, with an interview due to take place this week with another candidate. A logical guess might be that this is Accrington manager John Coleman. Whoever takes the reins, they will be moving into the manager’s office AT Valley Parade, they will be plotting a league campaign AT Valley Parade and they will begin the season not on minus points. We’re staying at home, and while this saga is far from over today represents a significant step and is a moment for every person with Claret and Amber in their heart to cheer. More about BC Bantams Limited, John Coleman, Julian Rhodes, Mark Lawn, Peter Jackson, Prupim, Valley Parade. Negotiations carry on around the future of Bradford City and where they will play next season – and going forward form that – with talk about leaving Valley Parade. Odsal is the assumed destination but Mark Lawn was quick to point out that Bradford is a big area with many sites available. With this comes talk of City moving up the Aire Valley towards Keighley. 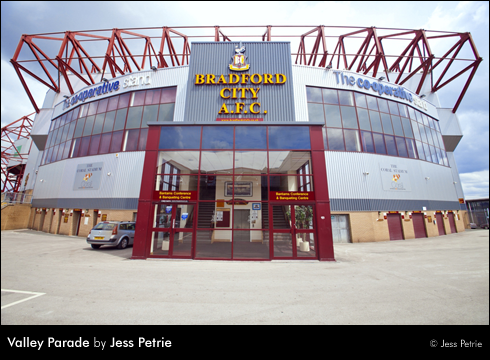 It is thought that Bradford City supporters are increasingly based in the area to the North West of the City and that it would make sense to relocate the club in that direction. Indeed when there is talk about City fans clubbing together to buy Valley Parade there is a separate conversation which discusses if millions of pounds raised by supporters might be better spent on a new stadium rather than the ground in Manningham, Bradford. Popular wisdom tells us the Aire Valley – rather than the middle of Bradford or its immediate suburbs – is where the City fans are, but how accurate is this? Aside from speculation it is difficult to find any hard and fast data on where Bantams fans are. So at BfB we thought we would ask. A question was asked to people who follow BfB’s Twitter feed for them to send the first half of their postcode. This message was repeated three times over the course of the weekend of the 6th, 7th and 8th of May 2011. The assumption was that the Twitter feed would represent a cross section of supporters and that enough supporters to give a picture of the distribution of post codes would respond. It was also assumed that respondents would be Bradford City supporters who went to games. The post codes were plotted onto a map with varying sizes of circles used to represent the number of respondents within that post code. A modification was done on these circle sizes in order to maintain a visual integrity of the wider circles. Twitter naturally taints results towards its user base which is slightly younger than the general public. The sample size gained – eighty – represents around 1 in 137 Bradford City supporters (considering the attendance of the final game of the season) and a better study could be achieved by using a wider sample size. There is no guarantee that respondents regularly visited Valley Parade. Post Code areas are sized around populations rather and land area and so many rural areas have larger surface covered by their post code than urban areas. B16, BB5, BD2, BD2, BD2, BD2, BD2, BD2, BD2, BD3, BD3, BD6, BD6, BD9, BD9, BD10, BD12, BD12, BD13, BD13, BD14, BD14, BD14, BD15, BD15, BD15, BD15, BD16, BD16, BD17, BD17, BD18, BD18, BD19, BD19, BD19, BD19, BD20, BD21, BD21, BD22, BD24, BN3, CH48, DH1, DN14, DY1, DY6, GU12, HD4, HD6, HD6, HU18, LN2, LS6, LS12, LS16, LS16, LS17, LS24, LS25, LS28, LS29, LS29, M1, M14, M6, MK45, NG13, NN10, PL2, PR3, RG42, S1, SL4, SW9, UB7, WF6, YO16, YO23. Data analysis is a science and I could not offer a definitive answer to the question as to where the Bantams are but looking at the map it is obvious that Valley Parade (the more northern of the two markers, the other being Odsal) is situated very much within the heaviest population of Bradford City supporters. Indeed looking at the idea that City’s fans are in the Aire Valley while it is true that there are populations of Bantams supporters in those areas these would appear similar in size to those to the South of Valley Parade in Cleckheaton and in Brighouse. The Aire Valley – so this limited survey suggests – is no more a home of City fans than any other direction away from Valley Parade. Data collected on Twitter and ink blot maps are not the definitive statement on the distribution of Bradford City supporters but they do show a challenge to the received wisdom about a migration of City fans into the Aire Valley (or indeed any other direction) showing Bantams supporters very much within urban Bradford while expanding in all four directions. York, London, Manchester and Leeds all have distributions of supporters. If this data can be gathered over a weekend and conclusions drawn from it then one has to wonder what analysis of the Bradford City season ticket holder’s database would present and what conclusions could be drawn from that. Certainly when talking about relocating the club one would hope this data would be investigated rather than assumed. Much of Bradford City is received wisdom: That the fans are here and not there, that these people will come to games that those will not, that this behaviour is set in stone; and one has to wonder if that received wisdom is challenged and – if it is not – if by asking the supporters (and lapsed supporters) the right questions new truths would be revealed. More about Aire Valley, Odsal, Valley Parade.